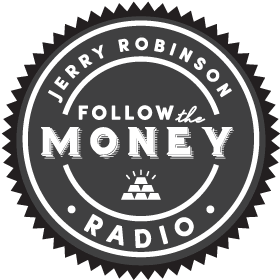 On today’s show, economist and FTMDaily.com founder Jerry Robinson breaks down some of the latest underreported news headlines. Later, Jerry is joined by two special guests. In his first interview, he is joined by Marcus Curtis. Marcus is an author, researcher, and a musician. On today’s program, he discusses his latest self-published book, The Coming Global Currency Reset. Then, Jerry is joined by Sama’a Al-Hamdani, an independent Yemen analyst, to discuss the humanitarian crisis unfolding in Yemen. Precious metals advisor, Tom Cloud, will also be here with an update on the latest price action on gold and silver. In segment one, Jerry Robinson provides his cutting-edge insights and analysis on many of the most underreported news headlines this week. While the corporate-controlled media is paid to keep the masses focused on only a handful of issues that are important to their corporate masters, FTMDaily is free to focus on the stories that really matter. 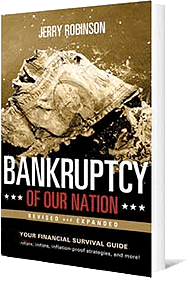 We are fiercely independent and will continue warning you about the coming economic collapse and the corruption behind it. Below are the headlines that Jerry comments on in this first segment. Listen above to hear Jerry’s analysis. There are many people who believe there is a global currency reset coming soon. But today’s guest, Marcus Curtis, is not one of them. In this interesting interview, Marcus Curtis explains how FTMDaily has influenced his financial outlook and shares some intimate details about how going astray from our financial advice actually led him into trouble. Marcus is here today to share his thoughts about the concept of a global currency reset, the Iraqi dinar, and even provides tips on how to successfully publish your own e-book. You can find his ebook online here. In our final interview, we are joined by Sama’a Al-Hamdani, an independent Yemen analyst, who provides an eye-opening look at the current humanitarian crisis in Yemen. Deadly clashes and air strikes led by Saudi Arabia have devastated Yemen. Over 600 civilian deaths have already been confirmed and many more have been injured. Thousands more have been forced to leave their homes while many are suffering with little or no food and water. Yemen is an extremely poor country and now that the bombs have begun to fall, most media outlets have been silent. 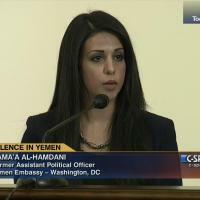 As a former Yemeni citizen, Sama’a provides unique insights into what is really happening on the ground and what those of us in the West should know. You can follow Sama’a on Twitter here.